The official line is that I was giving you guys a break from my almost daily postings in October; but, in reality, I was perfecting The Art of Whining. I whined mainly about too much work that led to too much pain. I am still in pain and have already started complaining about how I will miss the start of the ski season, even though I don't ski. See how good I am at it now? Because of this constant pain, my culinary escapades have suffered more than a little bit. Rice has become my go-to for most meals. Steamed rice, phodnicha bhath, jeera rice; whichever way I could make it, I did. That brought me face-to-face with the brown rice that is made with the famous Parsi dish, dhansaak. 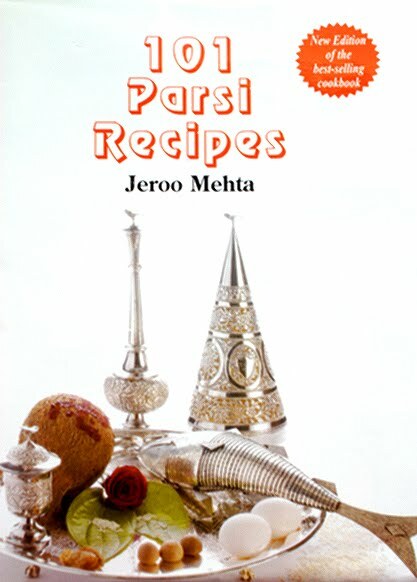 I considered winging it but then decided to turn to 101 Parsi Recipes, by the queen of Parsi cuisine herself, Jeroo Mehta. And she did not disappoint. Don't you want to dig in? 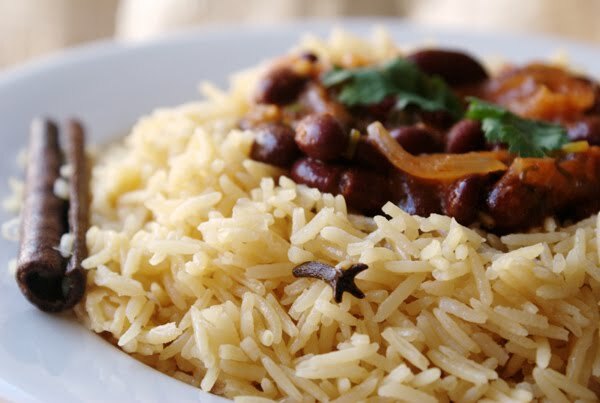 Wash the basmati rice in several changes of water and set aside. Heat oil in a large pot or saucepan; add cinnamon and cloves when the oil is hot. Add sliced onions and cook till they have softened. While the onions are cooking, heat the sugar in a small saucepan till it melts and caramelizes, taking care that it does not burn. A nice dark brown color is desireable. Add 1/3 cup warm water to the melted sugar a little bit at a time, taking care not to burn yourself as it will sizzle and foam as you do. Drain the rice and add it to the pot with the onions. Stir the rice and fry it with the onions for a few minutes. Add the sugar solution to the rice and stir well. Add the remaining water (5 and 2/3 cups) and salt. Bring to a rolling boil, cover tightly and lower the heat to medium low. Cook at this heat until all the water is absorbed and the rice has cooked, usually between 15-20 minutes or so. Fluff the rice and serve right away with any spicy dish with a sauce. Look, Jen, I prettied with some cilantro! 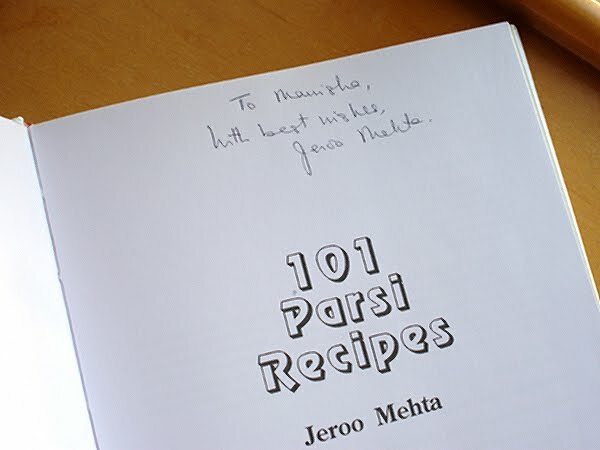 Jeroo Mehta's original recipe calls for 2 cups of rice. I find this a little too sweet for my tastebuds, so I upped the rice to 3 cups. Perfect for us! Taste the water after adding salt. If it's not salty, then you need more salt. As the rice cooks, the salt will be absorbed by the grains and it will be just right. Adding salt after the rice is cooked is an option but it doesn't taste the same. I have served this with what I call the-rest-of-the-world chhole, a spin on Anita's Punjabi chhole recipe, and it was appreciated. 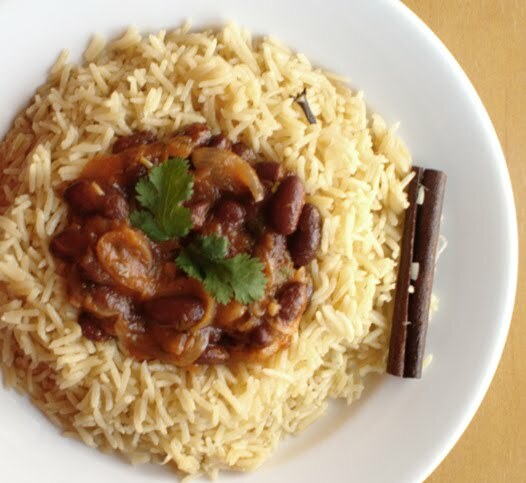 The next time, I served it with rajma and that worked, too. I will probably be making this again for Thanksgiving, but not with dhansaak - the pain, remember? 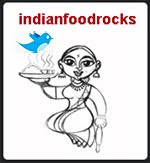 As soon as I can wiggle my toes a litle bit more, I am planning to make Jeroo Mehta's Lamb chops with green masala. For both those things, I can't wait! And what of IFR: Memories, you ask? You do ask, don't you? The round up is coming next week, I promise, with all of the four valid entries I received. What can I say? Congeniality was never one of my virtues.